Will Silicon Valley-style innovation transform food production and help feed the world? That's the question on the minds of researchers at the University of California, Santa Cruz, who are leading a new multi-campus initiative to explore the intersection of agriculture, food, and technology. The National Science Foundation has awarded a $492,000 grant to Julie Guthman, professor of social sciences at UC Santa Cruz, to fund her investigation of what Guthman calls the "agro-food tech sector." 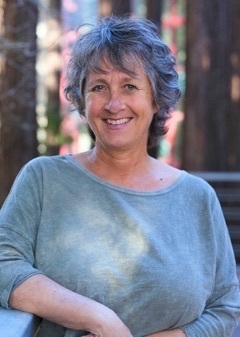 "The San Francisco Bay Area is the hub of this sector, where tech innovators, venture capitalists, and philanthropists are joining forces to address some of the biggest challenges of agriculture and food production," said Guthman, a leading scholar of food movements who is known for her research on sustainable agriculture. The task of feeding a growing global population has never been more fraught as climate change, soil degradation, pesticide use, and other challenges threaten the sustainability of current agricultural systems—setting the stage for the emergence of this new sector and a host of tech-based solutions. 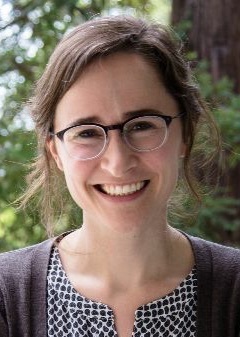 Guthman's colleague Madeleine Fairbairn, an assistant professor of environmental studies at UC Santa Cruz, will focus on agricultural technologies, particularly those related to data gathering. "Entrepreneurs are championing everything from drones that monitor plant stress to lab-grown meat," said Guthman. "It's a revolutionary approach to food production and consumption." Guthman will establish an inventory of the ideas that are being discussed, both in terms of food products and production, and the individual and institutional partnerships that are fueling—and funding—the agro-food tech movement. "This whole area is hot in terms of investment," she noted. "The leaders are using the rhetoric of 'disruptive technology,' and positioning themselves as different from both the big players of chemical-intensive, industrial agriculture, as well as the smaller, back-to-the-land visionaries of organic or sustainable agriculture," said Guthman. "What collaborations are being forged among university scientists, venture capitalists, foundations, and others? This is where high-tech meets ag and food." Guthman has attended several "meetups" where ambitious entrepreneurs float novel solutions. Some proposals appear to push the limits of credibility or public acceptance, such as insect-rich cookies or algae-based "shrimp" and other novel food products designed to meet the global demand for protein. "Now that agro-food has caught the tech sector's eye, this region has become a hub of agro-food innovation," said Guthman. "This could be the future of food and agriculture, and we need to be paying attention." In addition to Fairbairn, Guthman will be joined on the three-year project by Kathryn De Master, an assistant professor of agriculture, society, and the environment at UC Berkeley; and Charlotte Biltekoff, associate professor of American studies and food science and technology at UC Davis.